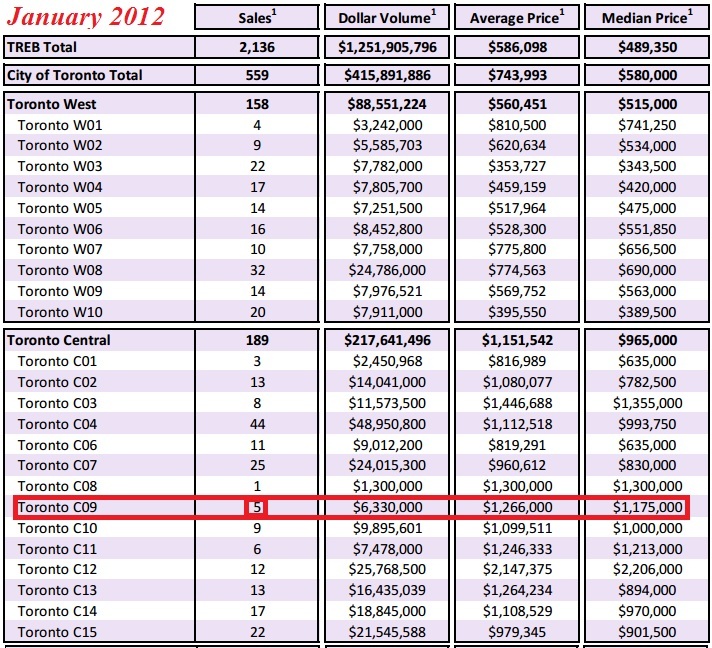 Rosedale Detached Prices Doubled in 2 Years? Beware of what you read on the internet! Be it the Toronto Star, Huffington Post or Toronto Condo Bubble Blog! 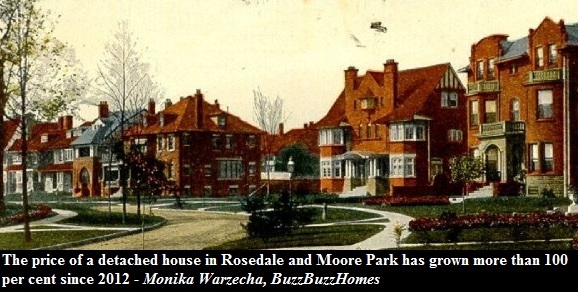 Currently the internet is buzzing with news that detached home prices in Rosedale and Moore Park have doubled since 2012. As other media outlets were picking up this story some real estate agents did not waste any time and took the news to Twitter proclaiming great investment returns from Toronto's housing market. Catch is, the analysis done by Buzz Buzz Home is inaccurate. Prices did not double in two years! It's all a charade and the public is being misinformed. At first glance there seems nothing wrong with comparing median home prices in Rosedale and Moore Park for January 2012 versus January 2014. However the issue is that the number of sales for the area (CO9) was way too small. 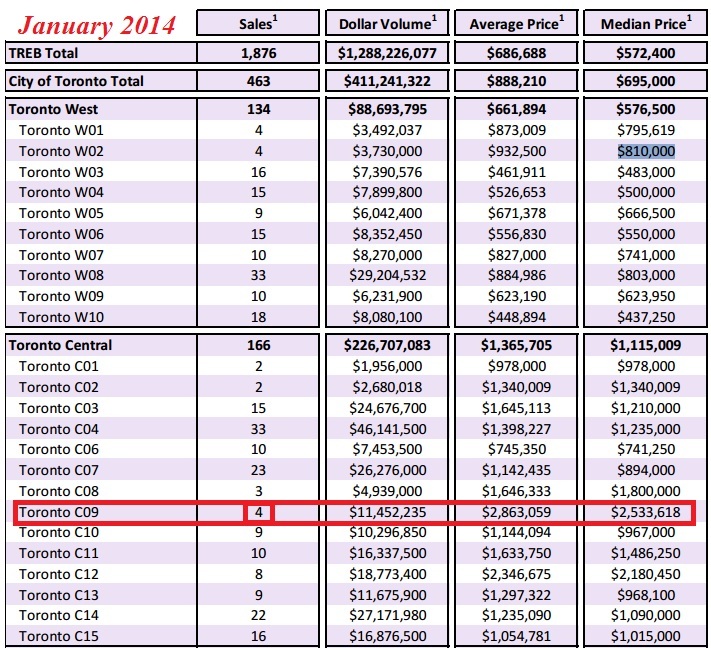 In fact in January 2012 there were only 5 detached sales and in January 2014 there were only 4 sales. The sample size is too small! Making a historical comparison with such small sales numbers is inappropriate. If Monika paid attention in her stats class (if she even took it) she would know that a minimum sample size is at least 30. In fact the sample sizes for CO9, C02, CO1, WO2 and WO3 were all too small. Given the low sales count for those neighborhoods it's useless trying to calculate price changes. But who cares about sample sizes and the accuracy of data when all that matters is marketing. Now did Buzz Buzz Home publish this inaccurate analysis on purpose or was it an honest mistake? What do you think?